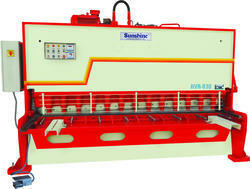 We are manufacturing a qualitative range of Hydraulic Shears. 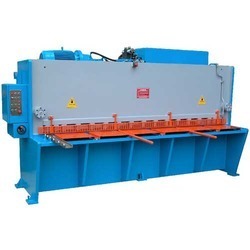 The offered products is provided with stroke length, back gauge positions and stroke counting that ensure hassle free and efficient performance. The installed back gauge has hardened grounded ball screws, linear motion bearing and back gauge drive that further guarantees high performance of the same. - Low cutting angle and inclined shearing direction eliminates Bowing and Twist.